Lizzie features a spacious interior with a protective laptop compartment and a special sleeve at the back that holds it securely to your luggage handle. This carry-on tote is amazing for every day, too, and is often used as a school tote, gym bag or a lightweight work tote. 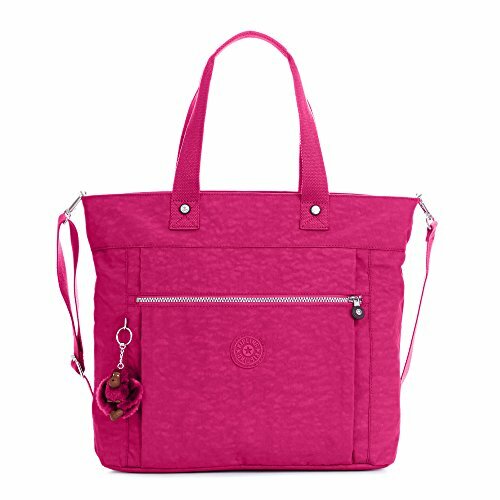 STAY ORGANIZED ON-THE-GO: The Lizzie Tote has an interior protective laptop sleeve, key clasp and pockets to keep your essentials in place. DURABLE AND LIGHTWEIGHT: Weighing only 1.41lbs while sporting impressive water resistance is just another hallmark of Kipling's commitment to quality. REMOVABLE, ADJUSTABLE CROSSBODY STRAP: Wear this bag as a functional crossbody or as a cute tote! Our removable, adjustable crossbody strap lets you wear this bag how you want! KIPLING'S PHILOSOPHY: At Kipling, we believe in being seriously playful, positively stylish, and delightfully carefree. Our first priority is to assure you feel confident to live by your own rules.